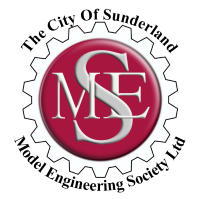 The City of Sunderland Model Engineering Society - Bring it On! We always try to engage and encourage young people to take up a career in engineering. We are a club dedicated to all aspects of model engineering. We also run a ride-on railway in Roker Park, Sunderland. We will display a wide variety of engineering models made by club members.